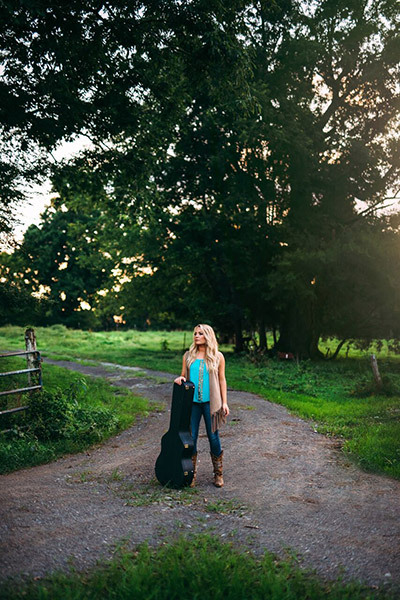 Check our exclusive interview with talented Country Star and American Idol Finalist Janelle Arthur. Janelle began singing in the heart of the Smoky Mountains at 8yrs old. She performed thousands of shows in the area before making the move to Nashville in 2010. She soon began her American Idol journey. After 3 years of persistence, she made it all the way to the Top 5 out of 120,000 competitors. Janelle not only had international exposure on Idol, but also on shows like the TODAY show, the Kelly & Michael Show and the Tonight Show with Jay Leno. 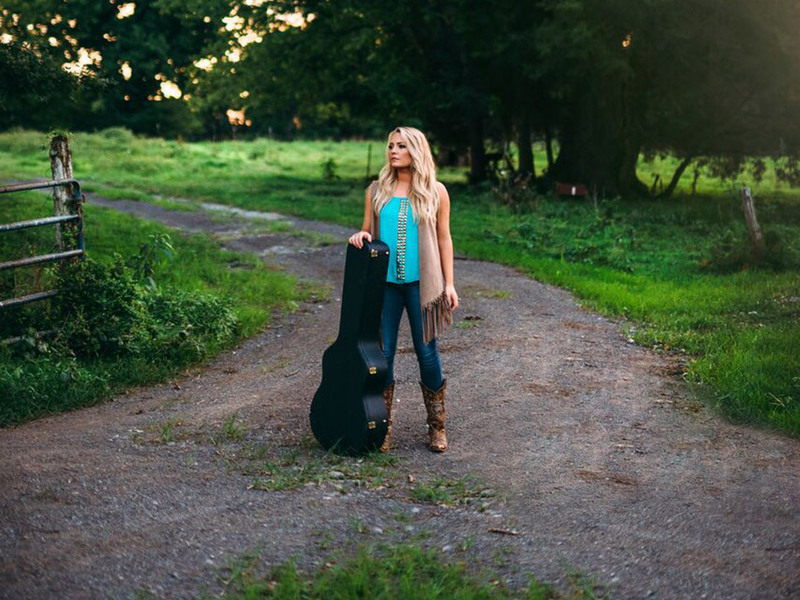 She’s been the opening act for Craig Morgan, Rascal Flatts and has performed alongside and/or collaborated with The Henningson’s, The Band Perry and Vince Gill. Hi Janelle, please tell us a little about yourself? I grew up in East Tennessee. I am a singer/songwriter living in Nashville. When I was 4 years old and I sang in front of an audience for the first time. Then by the time I was 8 years old I was hired to portray a young Dolly Parton in the live production of Paradise Road, a story about Dolly’s life. I knew at that point that I could make a career out of doing what I loved. Did your family support this decision to become a musician and act on screen? Oh, yes! My parents always encouraged and never pushed me to do music. They gave me every opportunity to pursue my dreams. I grew up listening and appreciating all kinds of music. I got a lot of on stage experience while performing shows in the Smoky Mountains for 12 years before moving to Nashville. I consider this to be the co-dependent anthem. Many of us feel that it is our responsibility to make others happy. The message is empowering as to how we often have to remove ourselves from toxic people or relationships. My first musical influence was and is now my friend and mentor, Vince Gill. I loved all of the women of country during the 90s; they were who I sang along to on the radio. But, I also love other genres…a huge influence on me has been Eva Cassidy, and I have a slight obsession with Michael Jackson’s music. As a musician, what are your next goals in your career? I hope to continue to write songs for as long as I can. I plan to release more music and would love to go on another tour. I love to travel and meet new people through the universal language of music. Southern food, mascara, God’s word, my family and phone. Tell us about your “American Idol” experience. It was truly the most grueling thing I have ever done. It has continued to open so many doors for me, so the intense schedule and immense amount of pressure was still worth it in the end. What was the feeling of finishing in the Top 5? It was so rewarding because I had actually auditioned four times before finally making it past the top 60. By making it to the top 5, I got to perform with The Band Perry and go on the Top 11 tour all over the US and Canada. Two incredible experiences. Connection is more important than perfection. It depends. I used to get nervous every time I performed, but now it is more of an excitement. If you want to make a career out of it, have confidence in who you are. Sing on stage as much as you can to develop your stage presence and comfort level in front of a crowd. If you do what you love for a living, you never have to work a day in your life. Faith is a country singer who moved to Nashville, so I could relate to her of course. She has a lot of things happening to her that happen to a ton of artists. She is feisty and was a very fun character to play. How was working alongside fellow country stars Deana Carter and Neal McCoy, as well as Nia Sioux from Dance Moms? All three of them were so wonderful to work with. Deana and I lived in the same house so we got to laugh, cry and write songs together. I had been a fan of hers and Neal’s for many years. Neal is hilarious and I think he needs to star in his own movie. Nia was so sweet and I could tell that she is a very hard worker. This was her film debut and she handled it like the pro she is. I started crocheting at age 11. I like making Christmas gifts for people. Ice Cream. I could eat it every day. Getting to go to church, eat good food and maybe take a nap. AGAPE Nashville. They help with anything from adoption to fostering and maternity care. I am so excited about my single ‘Runnin’ From My Roots,’ the title track of the film. I also will have a music video for it out soon. It is very important to me in order to keep in touch with friends and fans, but I also feel that it is necessary to not let it take over your life. You have to have a balance. I try to remember to engage with people in person. The world is more connected and disconnected than ever. Yet, as an entertainer, I am thankful for the platform it gives me.